AVERAGE WATER TEMP: 77-84°F WHAT TO WEAR: Dive skin, board shorts and rashie, or shorty in summer; 3 mm fullsuit in winter AVERAGE VIZ: 100+ feet WHEN TO GO: Year-round WHAT TO EXPECT: Muy tranquilo diving with little or no current, dolphins wild and domesticated, wrecks, sharks... the whole 9 yards. LANGUAGE: Spanish, but most Bay Islanders speak English. ANGUAGE: Spanish,TAXES: Sales tax is 12%, with an additional 4% added for gotel rooms, restaurant meals, taxis and other tourist services. $12 reef conservation and hyperbaric chamber fee. TIME ZONE: Central Standard Time (GMT-6). secret world in which history is conveyed through dance. Resorts, casas and restaurants all embrace visitors with the passion of Central America. Some even occupy their own private islands. 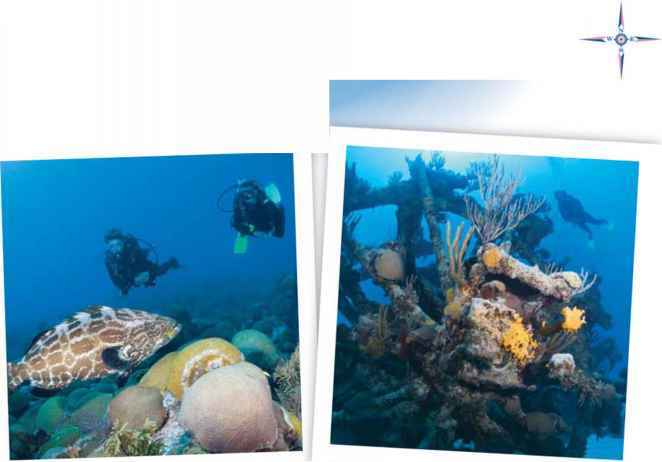 Conservation-minded initiatives, such as the creation of the Roatan Marine Park, have helped keep these Caribbean waters pristine for posterity. 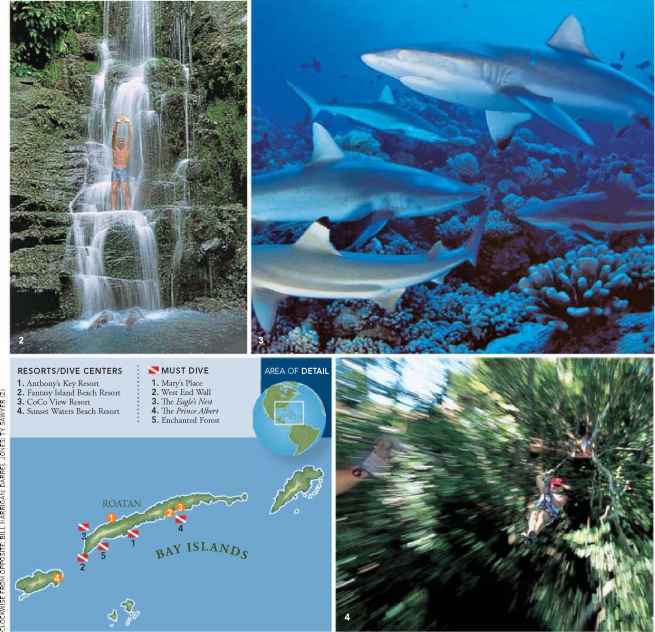 Extensive systems of coastal mangroves and coral reefs — the nurseries and friendly neighborhoods of the sea — keep Bay Island waters teeming with the sea life divers yearn to observe. Newer divers interested in this accessible eco-diving Mecca should ask around at their local dive club. Chances are there's somebody there who's been to the Bay Islands more than once and — chances are — they're headed back.